Life is better with peanut butter in it. Well it certainly is in my eyes. 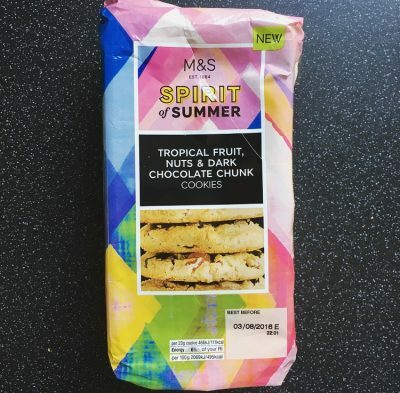 I popped into M&S at the weekend and I don’t know what happened but a lot of goodies from their new Spirit of Summer Range just happened to fall into my basket. Oooops. One of these goodies was of course M&S Peanut Butter Cookies. I cannot deny I was unbelievably excited by these cookies. 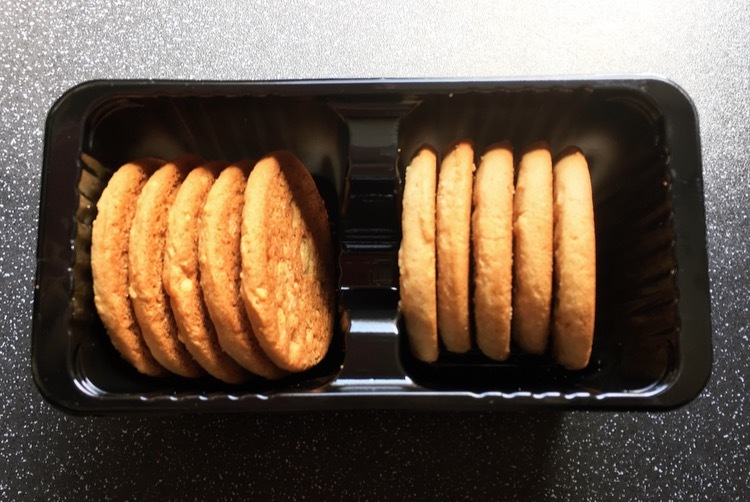 Not only is the packaging jazzy the fact we have a Peanut Butter Cookie on offer is huge news! All butter cookies with ground roasted peanuts and roasted salted peanut pieces. 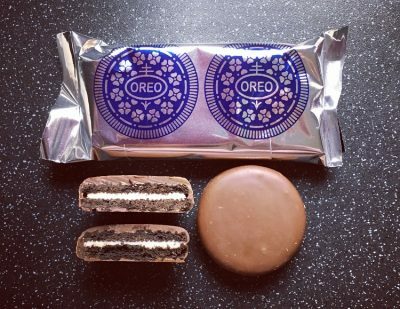 Each packet comes with a black plastic tray filled with cookies, 10 to be precise. I’ve got to say the inner tray is pretty naff and lack lustre and you try getting that back in the packet, it’s impossible. I do wish they would think about how you will keep the cookies from going soft if you weren’t going to eat them all in one go! Look at these golden beauties. The cookies were a nice thickness and baked pretty well to give that crisp snap when broken. Giving a sniff, yes I sniffed the cookie, the smell of peanut butter was evidently delicious with little specks of peanut embedded into the top of the cookie. The peanutty visual and the aroma certainly translated into the taste. 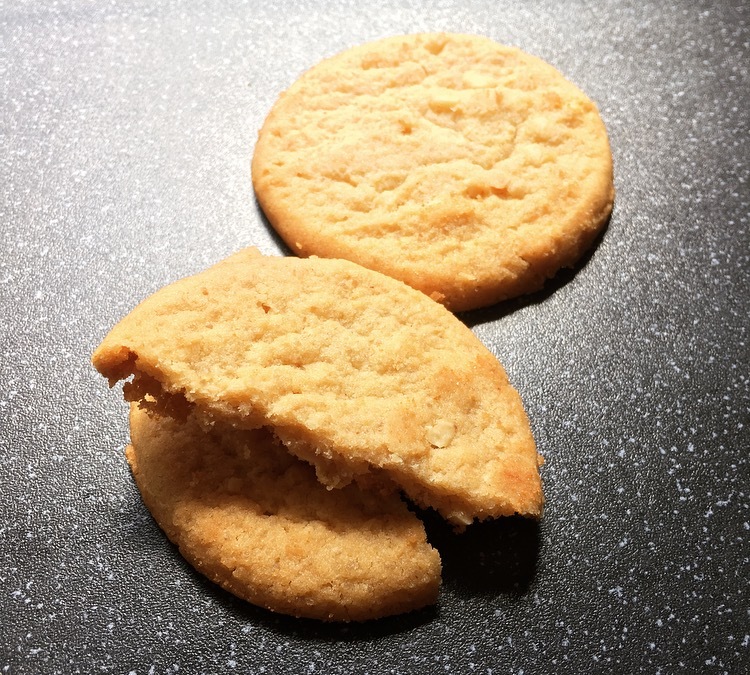 The slightly crunchy chewy cookie had a beautiful smooth peanut buttery taste that was boosted by the crunchy peanut pieces. There was the right amount of buttery sweetness to contrast with the salty roasted peanuts to provide one moreish cookie. I have to take my hat off to M&S because they have certainly redeemed themselves. 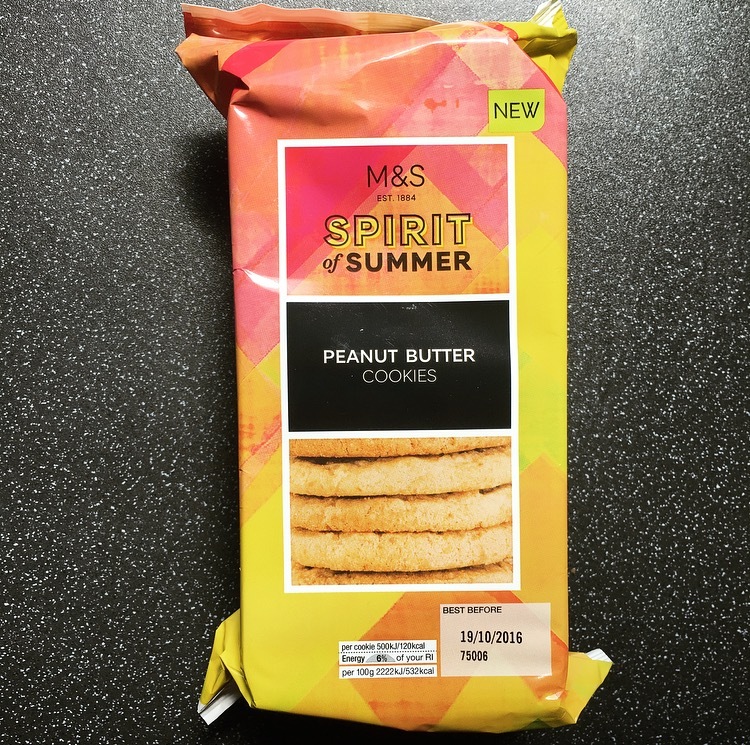 M&S Peanut Butter Cookies are a right game changer and hands down my new favourite cookie and top of the peanut butter cookie list. They pack a peanut butter punch, have the qualities of a good cookie and are darn right bloomin scrummy. Get yourselves down to M&S and get in the Spirit of Summer with these beauties. All I can say is M&S please never get rid of this cookies, never ever ever! !